Obituary for Anne E. Keenan | D.L Calarco Funeral Home, Inc.
Mrs. Anne R. “Betty” Keenan, formerly of Watertown, passed away on Saturday, July 7, 2018, surrounded by her family, her faith, and the prayers and love of many. Anne had been living in Rochester with her daughter and son-in-law since November 2016. Calling hours will be held at D.L. Calarco Funeral Home, Watertown on Wednesday, July 11 from 4 - 7PM. The Funeral Mass will be celebrated at St. Patrick’s Church at 10AM on Thursday, July 12 with Monsignor Robert Aucoin and Father Michael Gaffney concelebrating, and the burial will follow at Glenwood Cemetery. Born Anne Elizabeth Riley on May 26, 1924, she was the daughter of Lloyd Augustus Riley and Anna O’Brien Riley. “Betty,” as she was known to family and friends, attended Sacred Heart School and graduated from Watertown High School in 1942. She then attended the Watertown branch of the Rochester Business Institute and worked as an office manager for Faichney Instruments for a number of years. Anne loved sewing and wearing elegant clothes, taking exciting trips to New York City, and driving her jaunty green convertible. Anne’s life took a dramatic turn at the age of 26 while walking in the Paddock Arcade, where she was first introduced to Jack Keenan, who wisely recognized she was the most beautiful girl he had ever met. After a courtship that included many roses, boxes of chocolates, and fishing excursions to Wolfe Island, they were married on November 8, 1952 at Sacred Heart Church. They lived in Potsdam for a year, where Anne worked at Clarkson College, and then lived in Watertown for the rest of their 62 years of marriage. After raising six children, Anne returned to office work, eventually retiring from the NYS Department of Labor in 1993. She enjoyed traveling with family in her retirement years and was smitten with each and every one of her grandchildren and great-grandchildren. She was selflessly devoted to her family, to whom she leaves a great legacy of unconditional love. 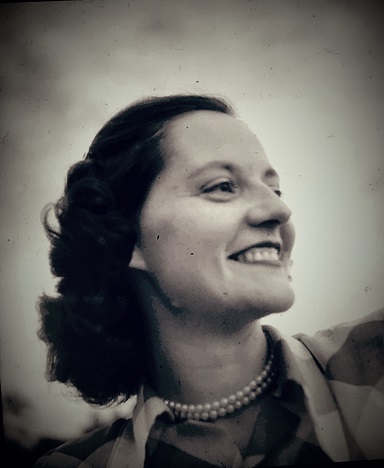 In addition to her husband, Jack, who passed away in March 2015, Anne was predeceased by her parents and two sisters, Isabelle and Katherine Riley. She is survived by her children: Dr. John Keenan, Watertown; Karen Keenan and husband, Tom Moore, Rochester; Peter Keenan and wife, Kitty, Watertown; Michael Keenan, Watertown; Patrick Keenan and wife, Bridgette, Watertown; and Bridget Bartholomew and husband, Robert, Hagerstown, MD; thirteen grandchildren and four great grandchildren.